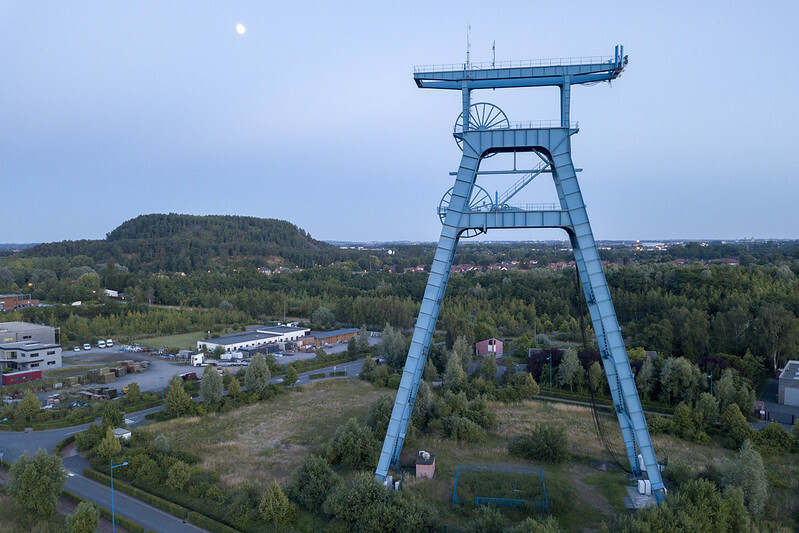 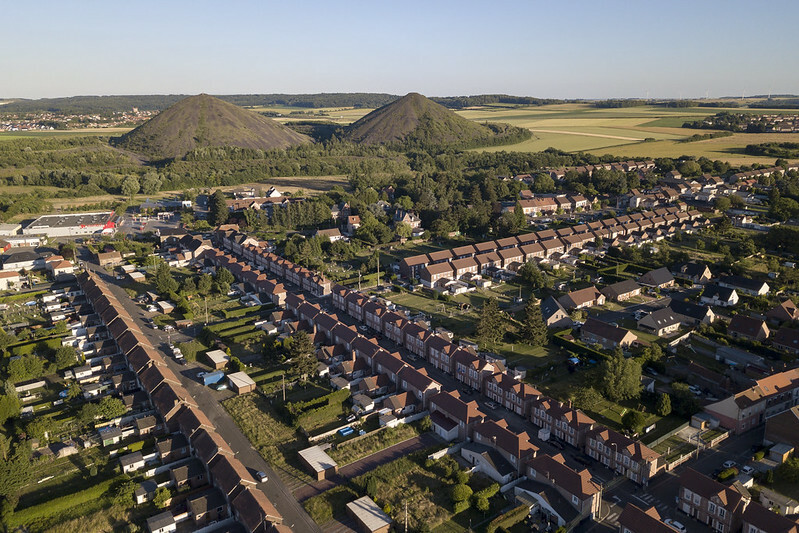 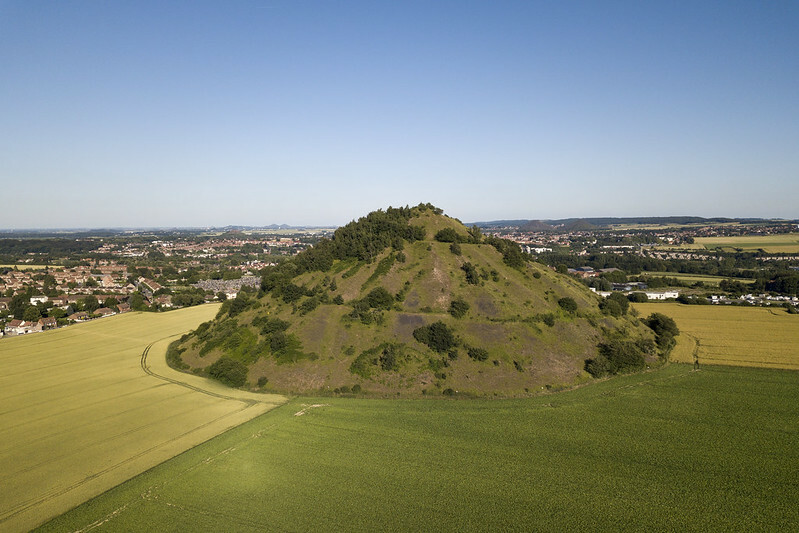 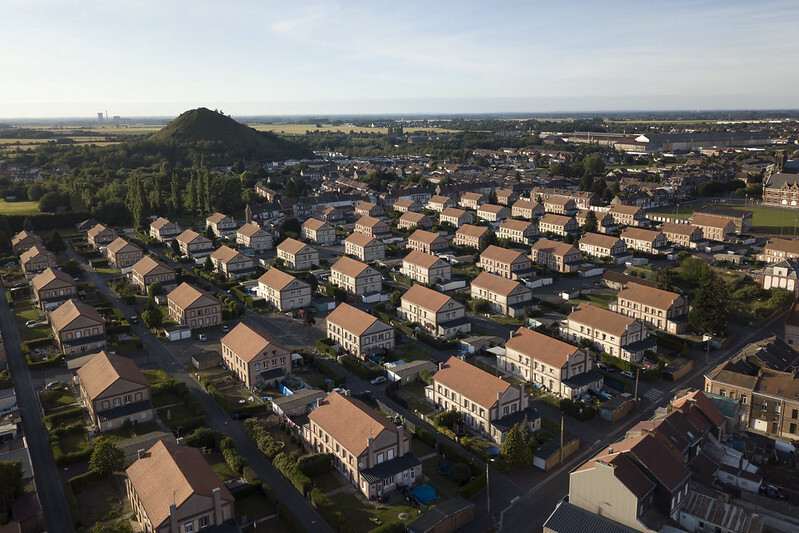 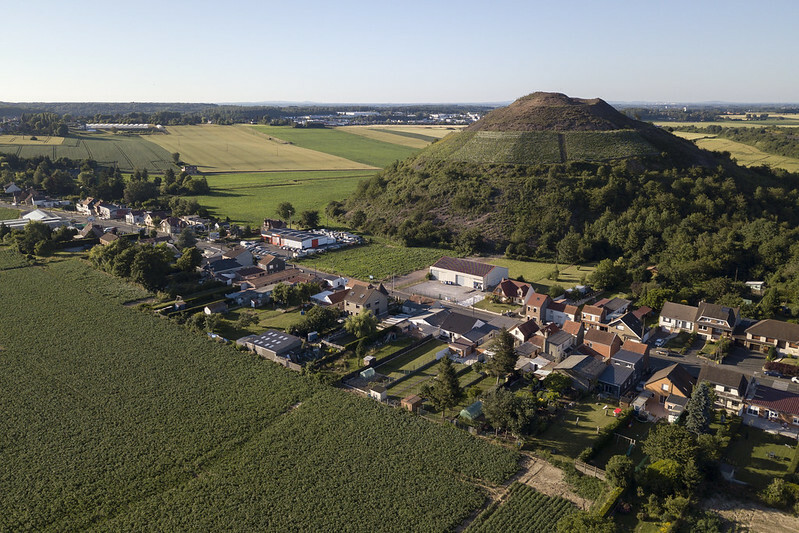 Rising over the towns of the UNESCO-listed Nord-Pas-de-Calais Mining Basin are terrils, or spoil tips, human-made hills of mining debris more than 450 feet tall. 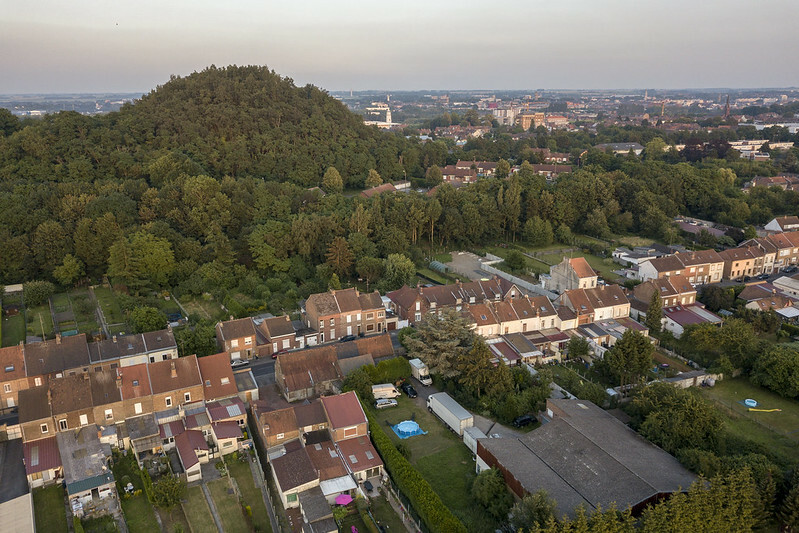 During my recent trip to France to screen The Area and participate in RDV avec la Ville, I expanded my Hauts-de-France Mining Basin series with aerial images that highlight their context. 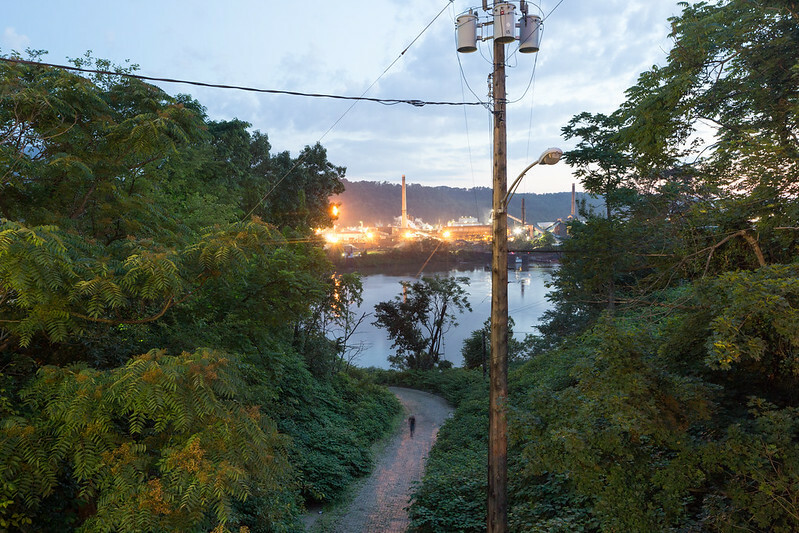 The following images are a few of my favorites. 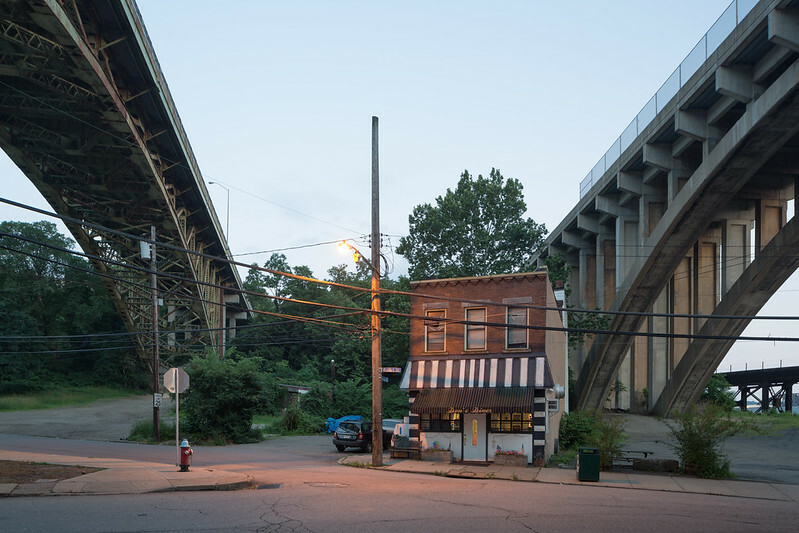 I recently visited Pittsburgh, Pennsylvania to present at the International Visual Sociology Association‘s annual meeting and explore the region. 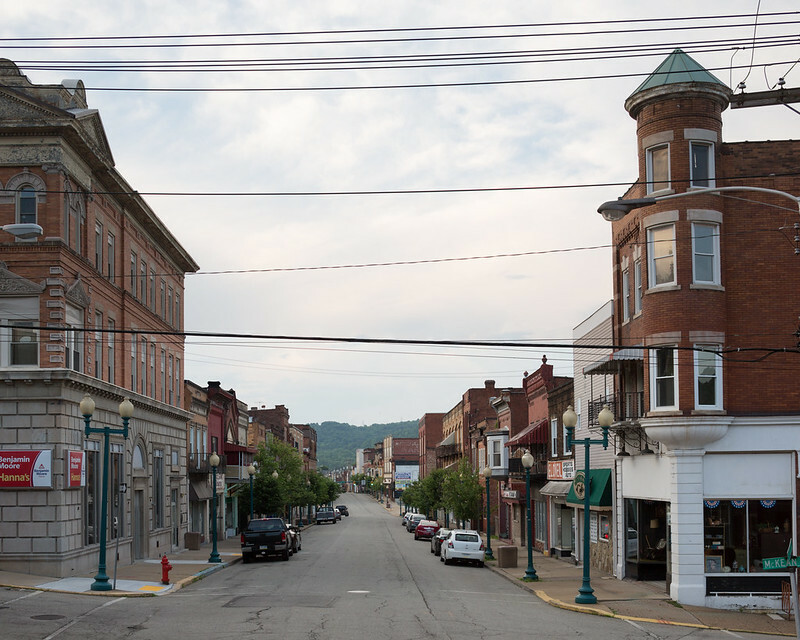 I particularly enjoy working in Pittsburgh, but my time photographing the end of an era in Johnstown instilled an interest in the region’s smaller towns. 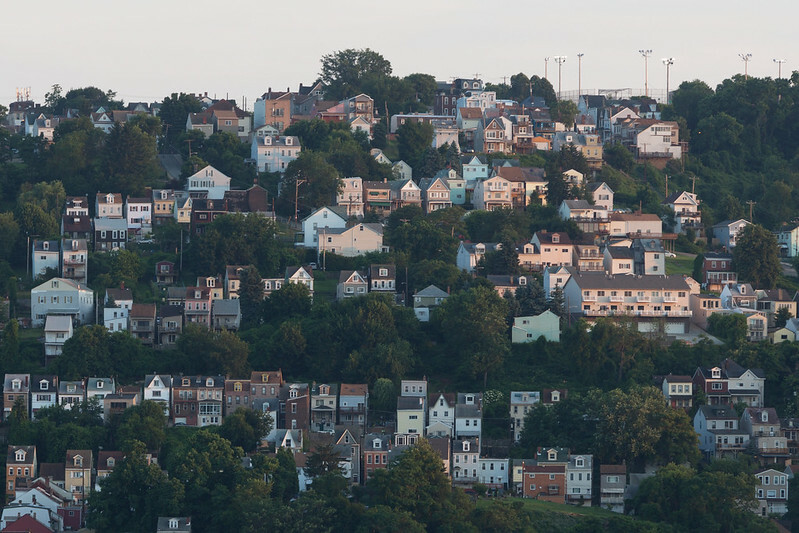 When I visited Pittsburgh in 2011, I made sure to spend a little time in neighboring borough of Braddock, but I wanted to go farther afield this time. 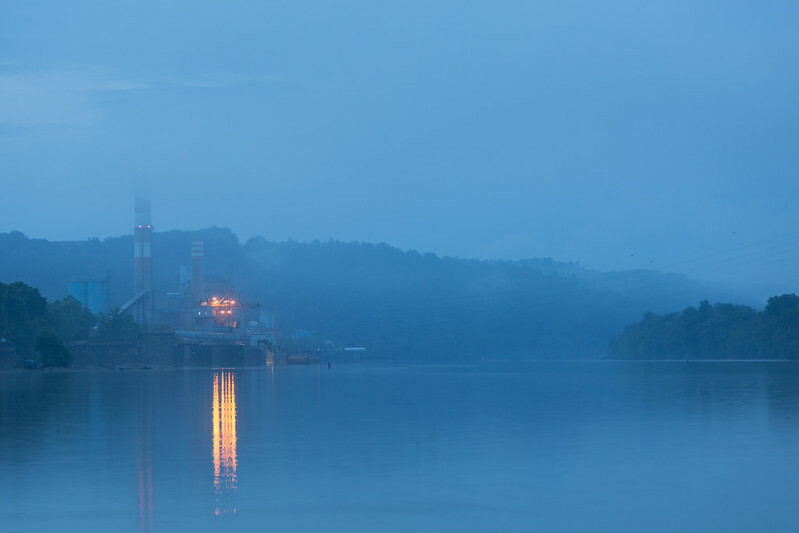 In part motivated to see the borough of Donora, whose 1948 environmental catastrophe raised awareness of the need for clean air regulations, I visited more than a dozen towns in the Monongahela River valley, and then several more along the Ohio River. 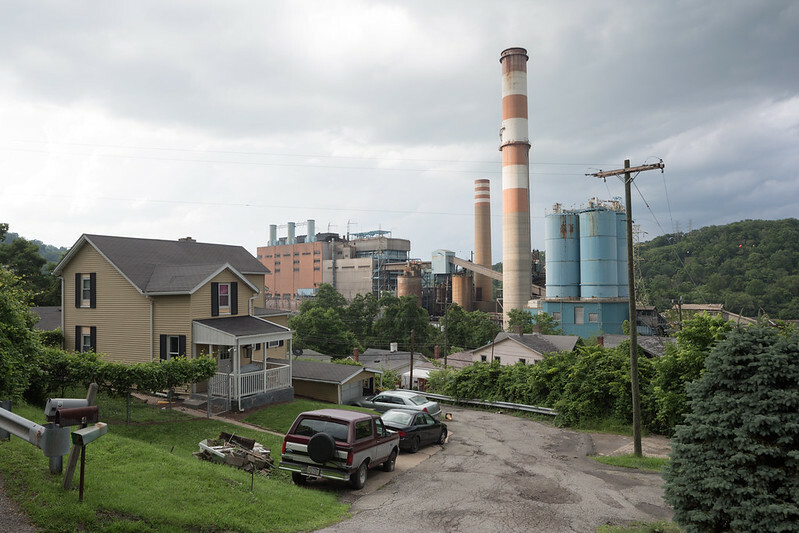 Wedged between the rivers and the hills, the towns are similarly caught between the remaining industrial operations and the otherwise increasingly derelict industrial landscape. 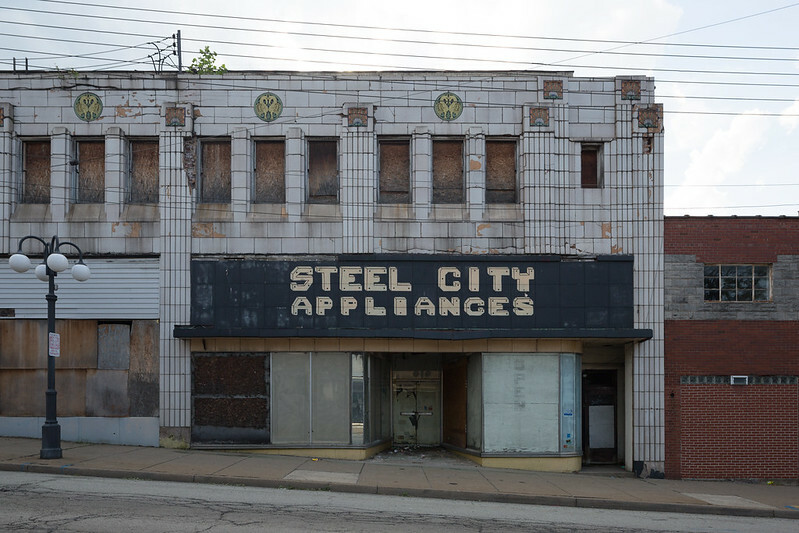 For every resident who boasted to me about her town’s architecture or community, another would offer warnings about the “bad” part of town or lament the moribund central business district. 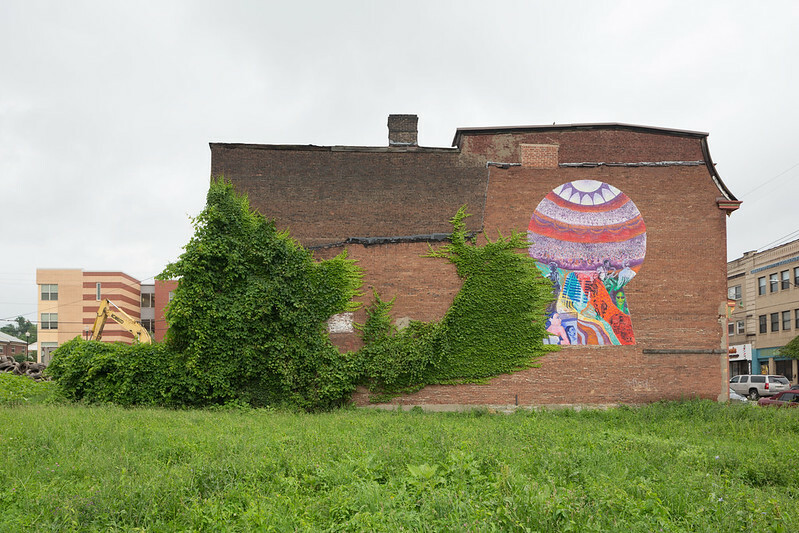 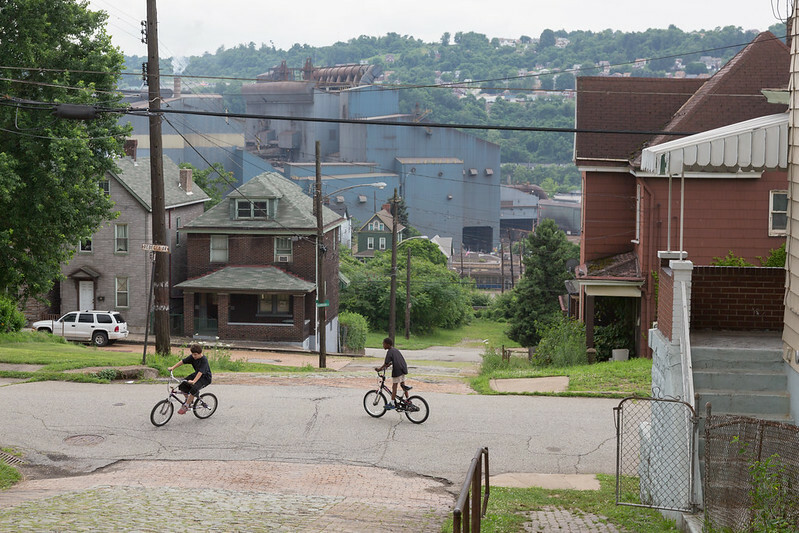 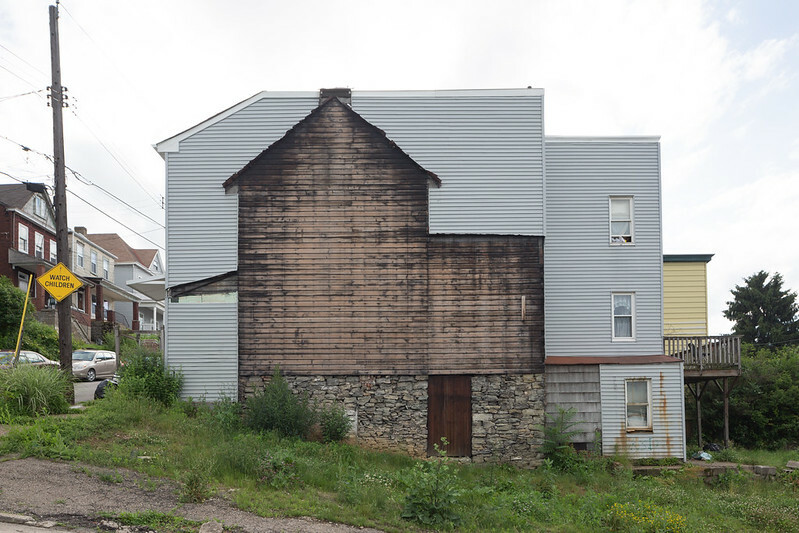 Braddock continues to capture headlines for its attempts at creative revitalization, but it is easy to see how many residents interpret continuing depopulation and unemployment as foretelling a more desperate future. 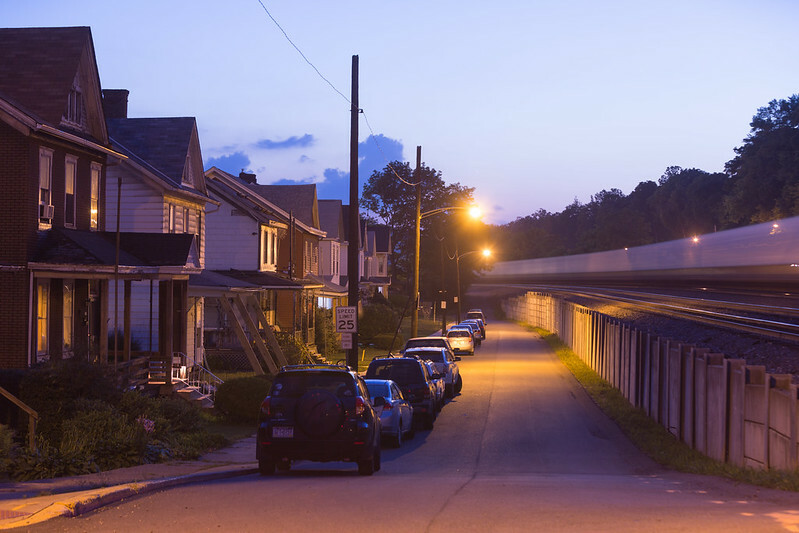 There are reasons for some optimism. 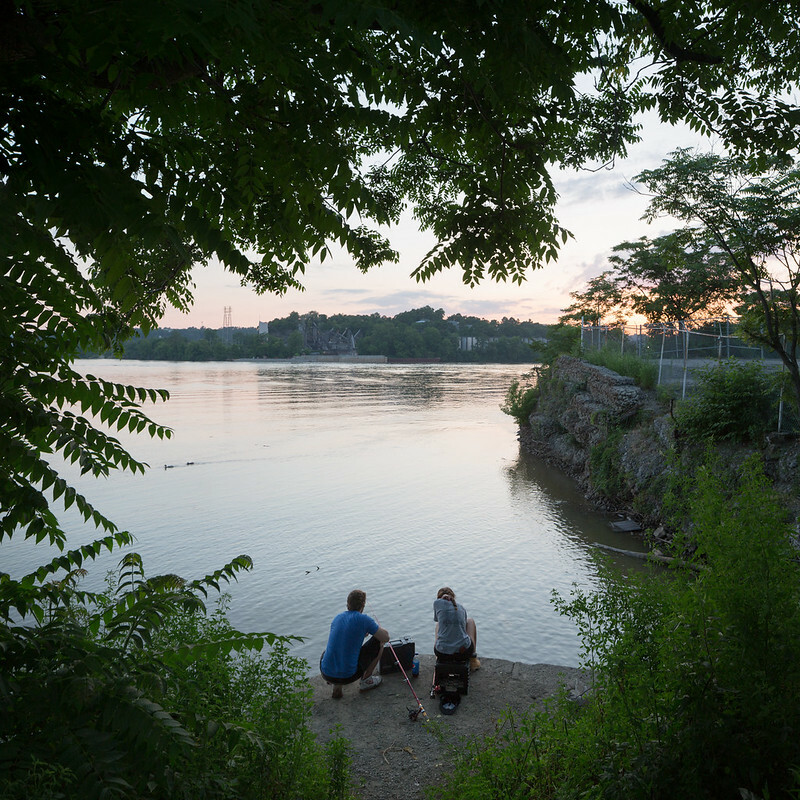 Pittsburgh is undergoing a renaissance, a few towns are successfully capitalizing on their historic character, and the rivers offer an undeniable beauty. 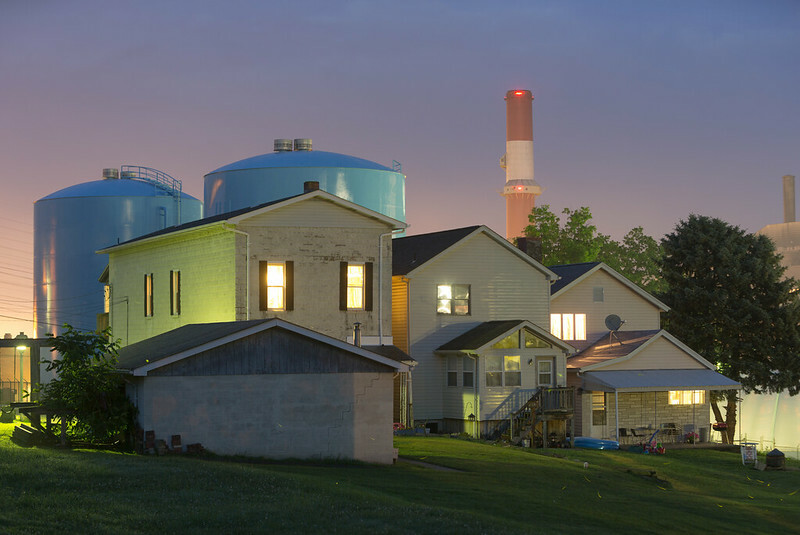 Still, as even the power plants wind down their operations, it’s easy to see how so many are dispirited about the future of the outlying towns. 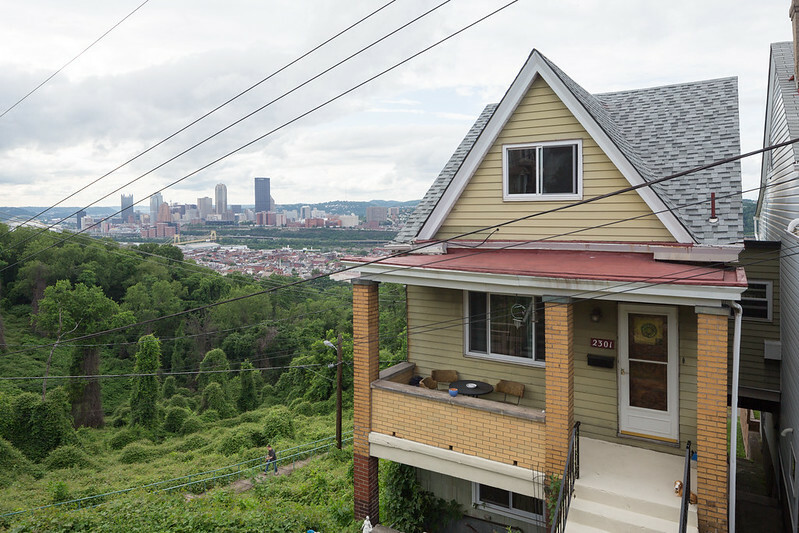 The following images are selections from my excursions along with a few Pittsburgh images. 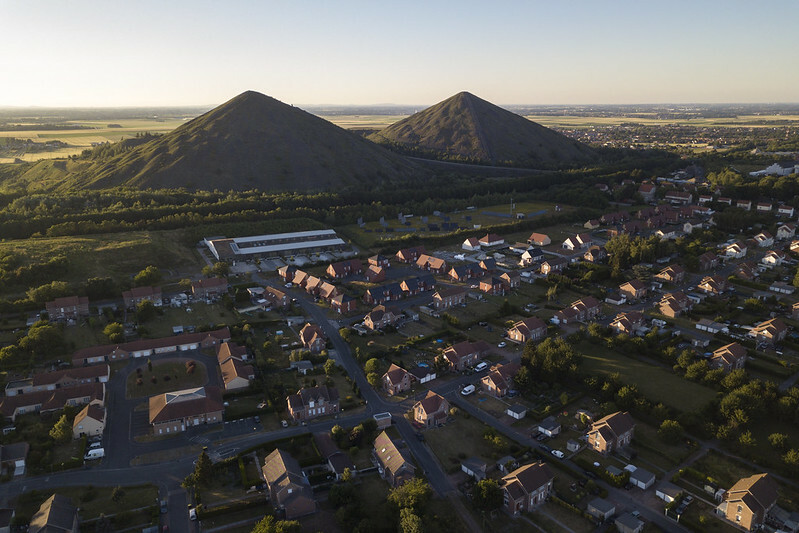 As always, you can view more photographs on flickr.